Celtic are reportedly ready to offload Dedryck Boyata, with reports the club could look to sell the defender in January. It is understood that the Hoops are wary of losing the Belgian international for nothing next summer, but haven’t given up hope of convincing the 27-year-old to pen a new deal at Parkhead. 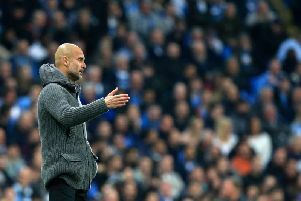 The former Manchester City youngster was the subject of a £9 million bid from Fulham during the summer transfer window and was a reported target for Fenerbahce and Spanish side Sevilla. Boyata would be free to speak to interested clubs from January onwards, with his current Celtic contract due to expire next summer. Reports in the player’s homeland of Belgium suggest that Celtic may not stand in his way if an acceptable bid is lodged when the winter transfer window opens. • READ MORE - Has Celtic defender Dedryck Boyata made a big call on his future? The centre back, who featured for his country during the 2018 World Cup in Russia, was forced to deny claims in August that he was refusing to play for Celtic after missing a key Champions League qualifier against AEK Athens in Greece. Boyata claimed he was injured but manager Brendan Rodgers suggested his defender was fit to play. Speaking last weekend, the 11-times capped international insisted that there were no lingering issues between him and the club. He told Sky Sports: “I’m in a position where I’m not supposed to say anything about what happened in the past, but I’m fully committed to the team. “I just want to give as much as I can whenever I’m on the pitch. I’m a Celtic player and I’m very happy to be a Celtic player. “Whatever happens next, happens next. I am looking forward to getting back to where we were in the last three seasons.